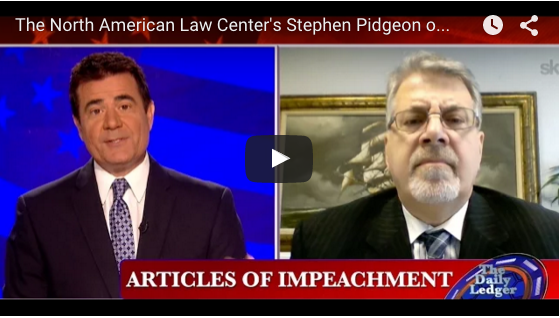 NALC Chief Counsel, Stephen Pidgeon was interviewed by OWNN (One America News Network) TV host John Ledger of The Daily Ledger about impeachment. Please Tweet and Facebook this page and share it with friends via E-mail. Let’s get the word out. The time to impeach is NOW.